Received it today. The neckline isn't the same but it really doesn't matter because the overall dress looks pretty. I ordered a small size but sleeves are a little tight on me but rest is just fine. 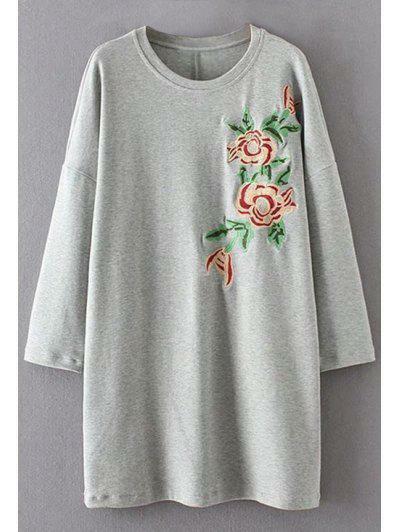 I Love it and really would want ZAFUL to have some more like this. The neckline of the purple is not the same shape as in the picture and the lace is white and thinner than what I was expecting but I still like the overall look and shape. This didn't come with pants or leggings. The dress is ok but the colour is not exactly as the picture and the design is a bit different in the front instead of v shape it's round in shape. Beautiful dress! I can't wait to have an occasion to wear it! With high heels on it is so perfect , exactly what i want . Thank you so much ZAFUL ! This is a bit different than pictured. It is not bad but it is just not the same material. I will work with it though and it is very modest.